I have been an active member of this platform for ten years and I can't believe that I'm still struggling to land jobs. This month, I have sent so many proposals without a single reply. It's becoming impossible to get jobs here. Is anyone else experiencing the same problem? Many people want to be writers. But for most of them, writing is an avocation, and not something that they can consistently make work as a career they can live on. I looked at your profile. You have been more successful here than the overwhelming majority of freelancers who make the attempt. Thank you Preston for your feedback. I get what you are saying. But many people have made a career out of writing and as you mentioned, I have had quite a bit of success on Upwork. However, I depend on this job for my livelihood. So you can understand my concerns. January was very slow. Plus, there were some shenanigans with "Talent Specialists" archiving proposals. So, things may pick up. 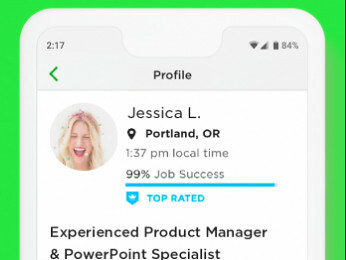 But, you should know that a platform like Upwork can change anything at any time. 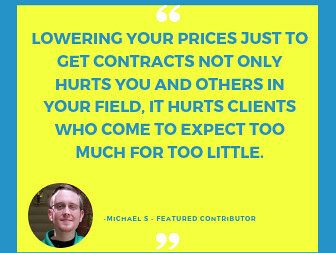 Expand the channels you use for lead generation so that you aren't stuck if Upwork stops providing the leads you need. Don't trust your livelihood to a single platform. I find that it waxes and wanes. This past month has seemed slower as far as offers. As mentioned above, could just be one of these unexplained slumps. Again, a drop down to $29 might have a little impact. 86% jss might be hurting you a little bit but I'm sure you'll get that up with your next jobs. I write too (creative tho) and these jobs are often 'mis-filed'. The Writing category 'Other' might throw up some things you can apply for. Best of luck and hang in there! Freelancing is never easy. Anne, there are exceptions, but most successful freelancers cultivate new clients from a variety of sources. You should never allow your livelihood to depend on a single site. What Tiffany said. I'm not a writer and I feel like I do pretty well on Upwork so I can't comment on whether writers can make it here, but Upwork isn't even close to my only source for contracts. It seems feast or famine here. 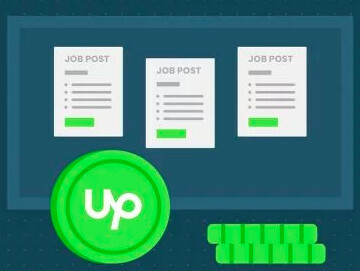 Most of my bigger jobs come from outside Upwork, but I find plenty here to fill in the gaps. I know my area has a lot less competition than writing. However, I'm constantly turning down invitations to apply to jobs and just recently I got tired of waiting for a client to respond and saw that they had sent out 20+ new invitations after I applied so I revoked my proposal. I don't usually do that, but I don't have time for clients who clearly don't know what they need or want. I know that I'm lucky right now and things can change, but I'm full-to-capcity with my current clients.